Podcasting has opened up a brand new world for pop culture fanatics, giving new life to shows that have been off the air for years and allowing fans to voice their opinions about a beloved series. A perfect example of this is the Best Of Friends Podcast, a weekly show focusing on, as you can probably guess, Friends. 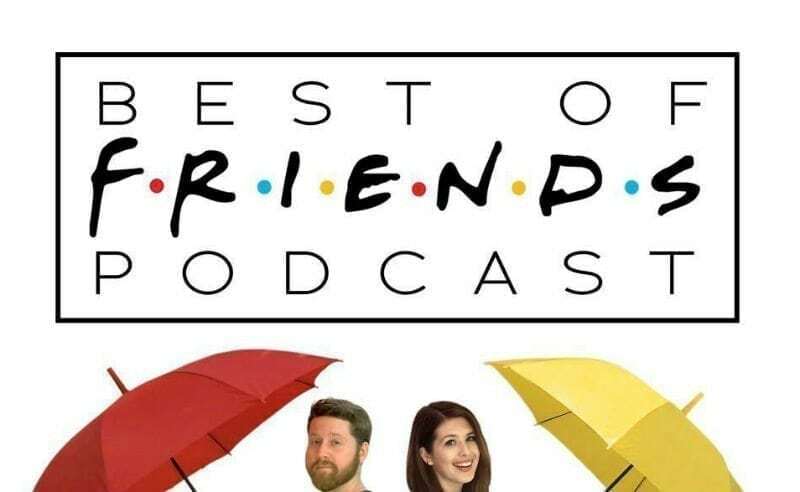 I spoke with the members of Best Of Friends about the origins of the podcast, their favorite guests, and thoughts on the long-rumored Friends reunion. Innovation & Tech Today: Where did you get the original idea for the podcast? Best Of Friends: Our friend Krista Doyle basically sent a tweet asking if anyone would start a Friends podcast with her and we both responded. Krista has since left the podcast (she moved to Austin!) but she was the one who started the whole thing. It all was very natural while also being very very orchestrated. I&T Today: Is there one episode of the podcast you’d recommend to first-time listeners? Best Of Friends: Definitely our episode with Larry Hankin! (Episode 27 of the podcast!) It’s not indicative of our “normal” episodes but it’s a fascinating episode where we just let Larry tell us amazing Hollywood stories. We also did an episode recently with a Joey writer, John Quaintance, which was super fun and also very informative. I&T Today: Now that you’ve gone through all the episodes of Friends, how has the transition to the Joey spinoff been? Best Of Friends: It’s been fun mostly because neither of us has watched “Joey” before! So we went from discussing a show we’re intimately familiar with every single week to a show we’re watching brand new. The perspectives on the show are totally different when you’re watching new and also, we actually have no idea what is going to happen. Which is fun. I&T Today: What do you have planned after you’ve reviewed the entirety of Joey? Best Of Friends: We’ve got a lot of ideas. One is starting Friends over again. And some others are tackling something like Happy Endings, which we both adore and think was canceled too soon. One idea also involves watching just one season each of a show the other person has never seen. So Erin has never watched The West Wing – which is one of Jamie’s favorites and Erin loves Dawson’s Creek which Jamie has never seen. Lots of ideas kicking around, we’re definitely going to keep podcasting forever. I&T Today: How has the podcast changed since its first episode in 2014? Best Of Friends: It’s changed so much – not only have we lost a co-host which completely re-formatted the show, but we’ve also just gotten used to podcasting. It’s an odd thing to jump into because you figure you have interesting things to say but you don’t actually know if anyone will like it. So I think we’ve gotten more comfortable with our podcasting personas and just the format of our specific show. I&T Today: You’ve had a number of guests on the podcast throughout the years. Is there one guest you find you have the best chemistry with? Best Of Friends: We’ve had lots of great guests, for sure! I think anyone we’ve had on multiple times it’s definitely from chemistry – our friends Nick Ross and Katie Willert have both done multiple episodes and I think we love both of them and love chatting Friends with them. Nick even drew us for our merch logo! I&T Today: As longtime Friends fans, how do you feel about the long-rumored reunion? Best Of Friends: If it were ever going to actually happen, we would definitely watch and support but it’s hard to imagine anything happening reunion-wise that would be actually satisfying as a fan. But as podcasters we fully support any reboots and reunions. The Best Of Friends Podcast is available on Spreaker, iTunes, and Google Play.